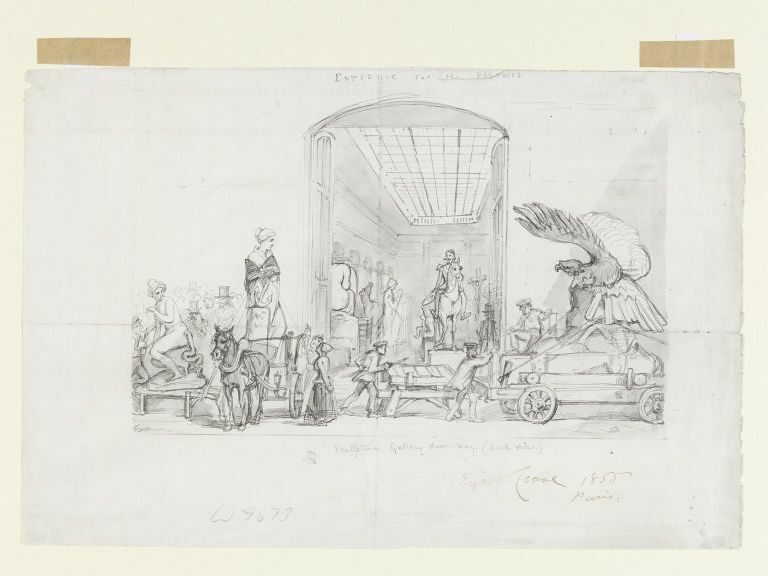 A sketch made by Eyre Crowe in 1855, showing the delivery of sculptures to the Exposition Universelle in Paris, was purchased by the V&A in London in 2012. An image of the sketch, together with information about it, has been made available on the V&A website. 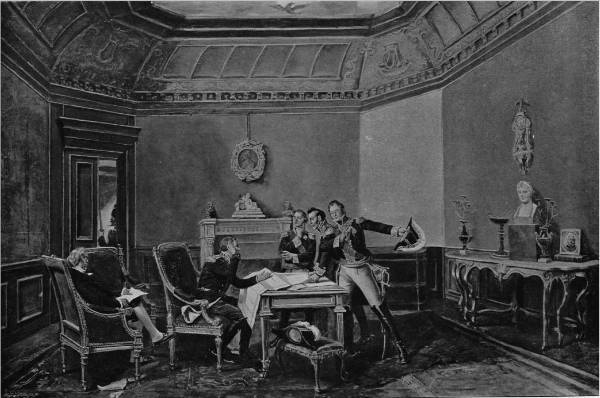 The sketch is remarkably similar to another: Crowe’s Delivery Entrance of Palais des Beaux Arts at the Exposition Universelle of 1855, which is now owned by the Metropolitan Museum of Art in New York. The two sketches are the same size, and are on the same subject (the setting up of the artistic parts of the exhibition), and most likely were made within days of each other, in the same sketchbook – now broken up and the individual sketches sold off separately. 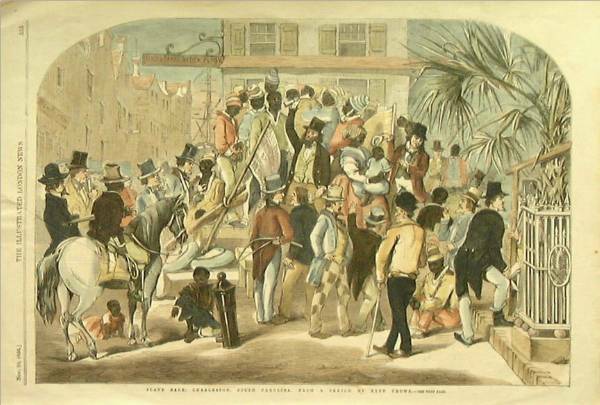 A Slave Sale in Charleston, South Carolina is well known from engravings, such as the coloured version shown here, but the whereabouts of the original painting, first exhibited at The Royal Scottish Academy in 1854, has hitherto been unknown. 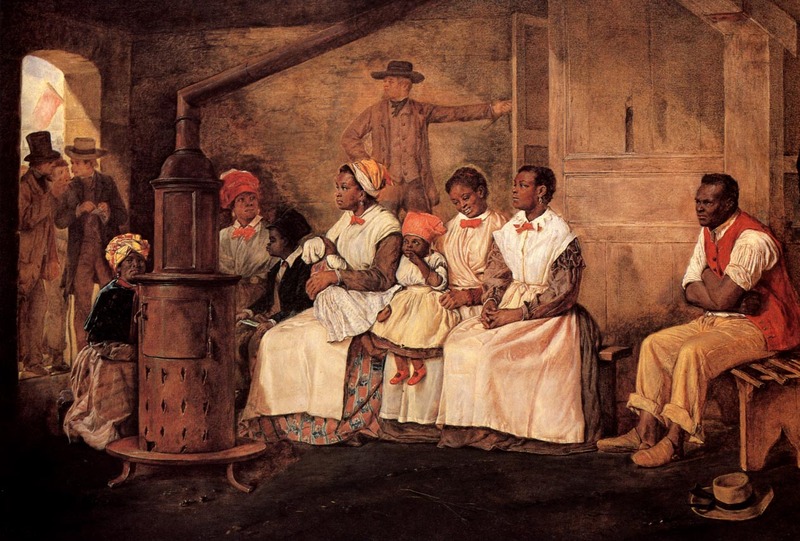 It was discovered in the National Museum of Fine Arts in Havana, Cuba, by staff at the Virginia Museum of Fine Arts, and made known to the academic Maurie McInnes, whose research into the slave trade in Richmond, Virginia, and artistic representations of it, was based around Eyre Crowe’s even more famous painting, Slaves Waiting for Sale, Richmond, Virginia (1861). McInnes has now curated an exhibition at the Library of Virginia: To Be Sold: Virginia and the American Slave Trade, which explores the dynamics of the slave trade. The exhibition features three of Eyre Crowe’s paintings: Slaves Waiting for Sale, Richmond, Virginia, lent from the private collection of Teresa Heinz; After the Sale: Slaves Going South from Richmond (1853), lent by the Chicago History Museum; and a full-size facsimile of A Slave Sale in Charleston, South Carolina. The exhibition is described in an article by the Richmond Times Dispatch, and is open until 30 May 2015. 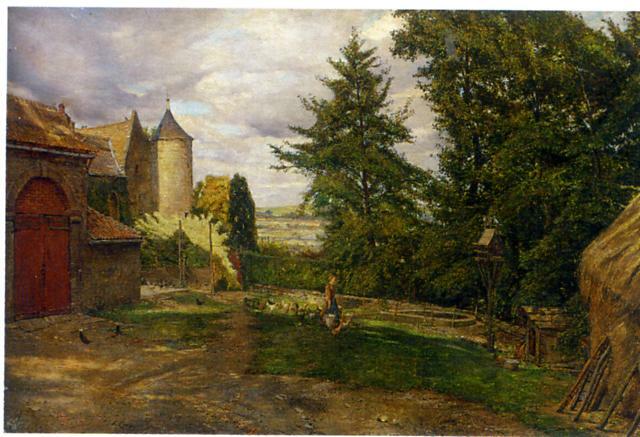 An auction house in Melbourne, Australia, is shortly to sell an original oil painting by Eyre Crowe. 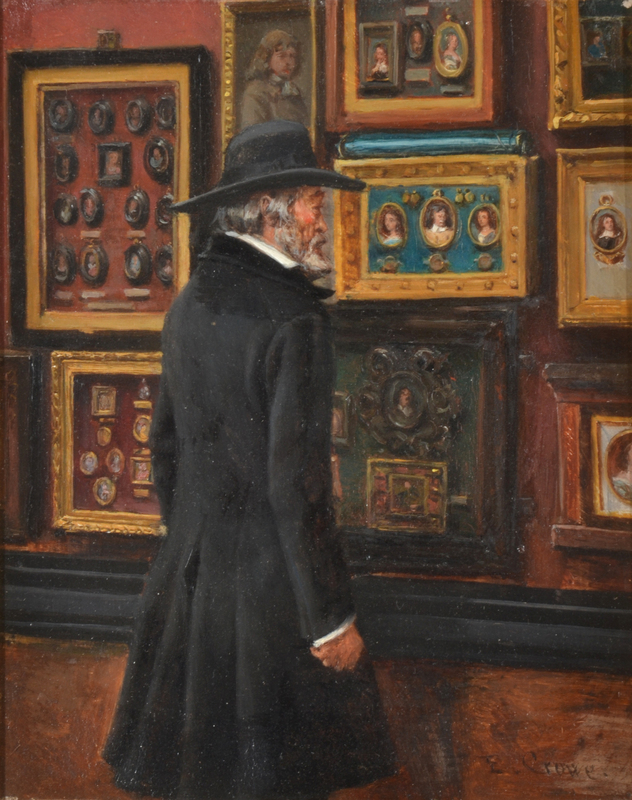 On 3 December, Leonard Joel Auctions will sell Thomas Carlyle Looking at the Duke of Buccleuch’s Miniatures of Cromwell, which was exhibited at the Royal Academy Summer Exhibition in 1895. 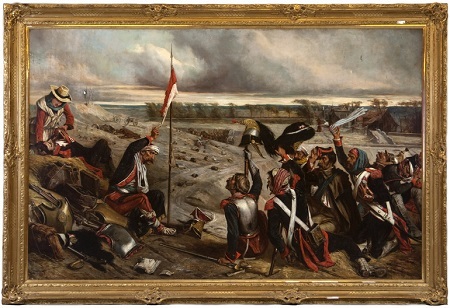 An original label attached to the back of the painting explains that Crowe produced the painting from a sketch made in 1879, when the miniatures were displayed at Burlington House (the home of the Royal Academy). The painting sold for $AUS 4,200 (£2,330).